Nowadays more than ever, it’s so important to make sure we do all we can to protect and preserve our environment. This is especially important within our industry, with alarming amounts of waste to landfill. That’s why we here at Weybridge Skip Hire are dedicated to reducing this amount to zero, recycling all waste we remove wherever possible. 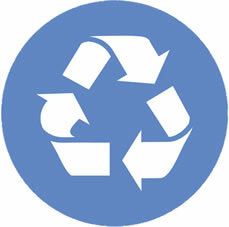 If you are looking for advice on how to recycle or separate your waste, please don’t hesitate to contact us today. We are proud to announce that Weybridge Skip Hire is now FORS Silver Accredited. This means we are now certified as a business to be safer, smarter and greener, by improving vehicles, drivers, management and operations..